As I have a cold and can´t smell anything - I couldn´t create a new fragrance blend for this soap. I chose a tried one instead. I wanted to make another batch scented with my "Angels" essential oils blend based on ylang ylang, grapefruit and lavender. I knew that this blend was a little risky but decided to try it anyway because I thought the delicate look of the Taiwan swirl would suit the scent well. 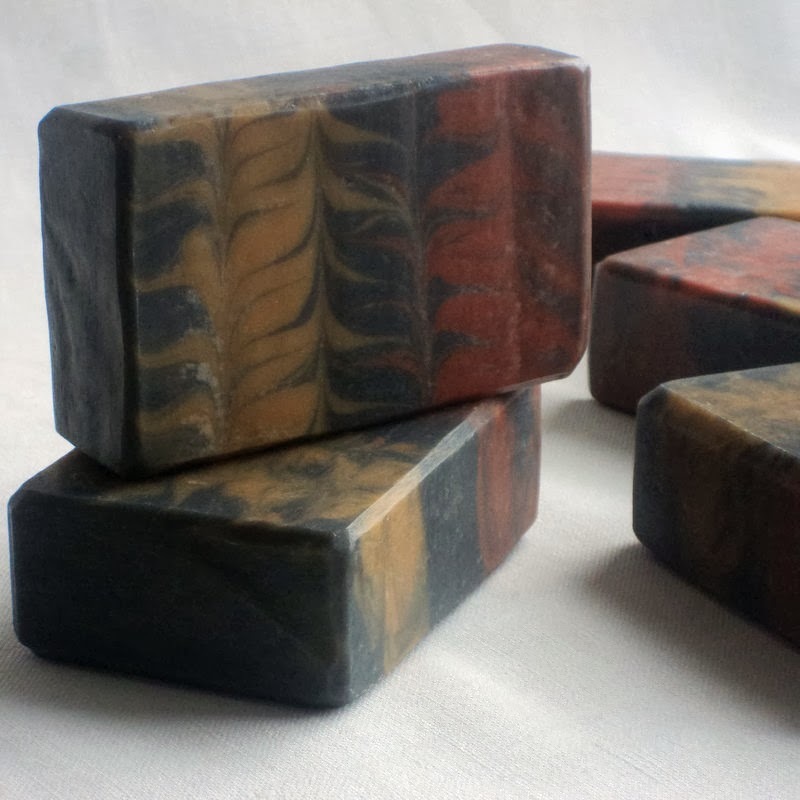 I used mineral pigments and charcoal to colour the soap. The batter moved fast as expected but I managed to finish the swirl. Unfortunately the soap overheated a little bit so I got some greyish streaks in the middle and also a little ash on the top. 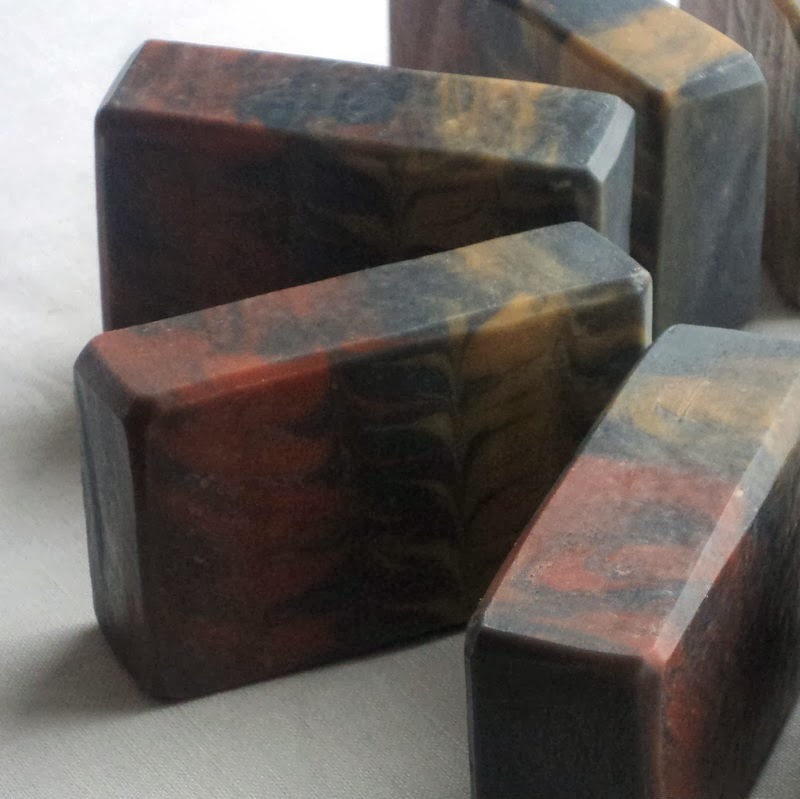 I must say that I like this soap in spite of the mistakes, the scent goes well with the colours and creates an energizing earthy manly feeling. But I would like to make another attempt using this technique and try to achieve a better swirl. Hopefully tonight or just once I can smell again. 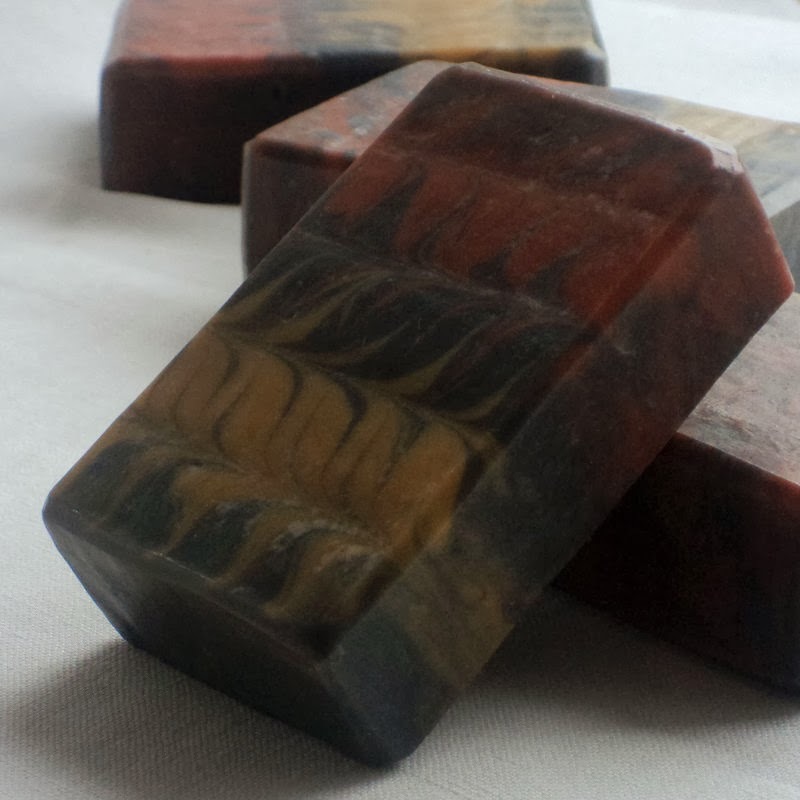 An invigorating scent based on ylang ylang, grapefruit and lavender, soap with silk, buttermilk, shea and cocoa butter. Your choice for a scent blend sounds awesome. The scent blend sounds lovely and your swirl turned out very well, considering it accelerated. Wow. Deep, dark and sensuous is what that looks like! Fantastic job!! Your colors are so beautiful! I love how deep your colors are, very bold! Great job!